Do you have questions about our SolarWorld Industries GMBH solar panels, or questions about solar in general? Give us a call at 1-800-472-1142. The Sunmodule Plus impresses with its numerous and clever detailed solutions. Yields and performance have been improved, and installation and use are particularly flexible. Whether you are carrying, lifting, or installing the Sunmodule Plus, handing is easy and secure. The structured, hardened solar glass is thin, considerably reducing its weight. In combination with the module frame which has a wave-shaped, reinforced profile, the module is particularly robust, and fast and easy to install. The Sunmodule Plus delivers maximum flexibility for nearly every application. The frame can be combined in many ways with rack systems, and clamping is possible on the short side of the module. The flange that facilitates installation and grounding from the rear offers further flexibility during installation. The Amphenol H4 plug is compatible with all common solar cables. Look forward to more power. The drainage corners ensure high yields. This is thanks to the integrated water drainage concept, which improves the self-cleaning effect. In addition, the cell matrix ensures great performance: Increased spacing between the cells and frame results in improved light yield. 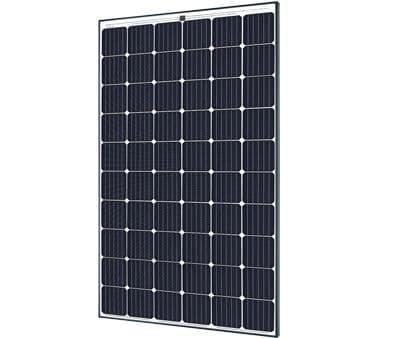 The Sunmodule Plus also thrills with its exceptional design. Tested in extreme weather conditions - hail impact tested and resistant to salt spray, frost, ammonia, dust and sand. Solarworld Industries GmbH is a German solar technology company headquartered in Bonn, with production facilities in Arnstadt, Thuringia, and Freiberg, Saxony, and with sales locations in Germany, Singapore and South Africa. SolarWorld is focused exclusively on the production and distribution of premium products based on mono crystalline PERC solar cells, such as bifacial glass-glass modules delivering power generation on both sides, and monofacial PERC modules. Quality is SolarWorld’s top priority at all stages of the value chain. For our customers, SolarWorld Quality means outstanding solar module longevity, maximum efficiency and therefore lower costs per kilowatt hour of electricity generated by the sun. At the location in Arnstadt, Thuringia, monofacial and bifacial solar cells are manufactured using PERC technology. Their premium solar modules are produced in Freiburg in one of the world’s most modern solar module production facilities, with a capacity of up to 700 megawatts. SolarWorld’s research and development department in Freiberg, Saxony, is continuously making performance and product improvements. They control the R&D process from the idea, to the pilot phase, to production.